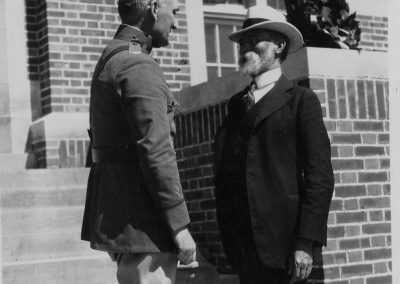 Jorgenson’s Armistice Day speech urged listeners to honor the civilian soldiers of World War I. 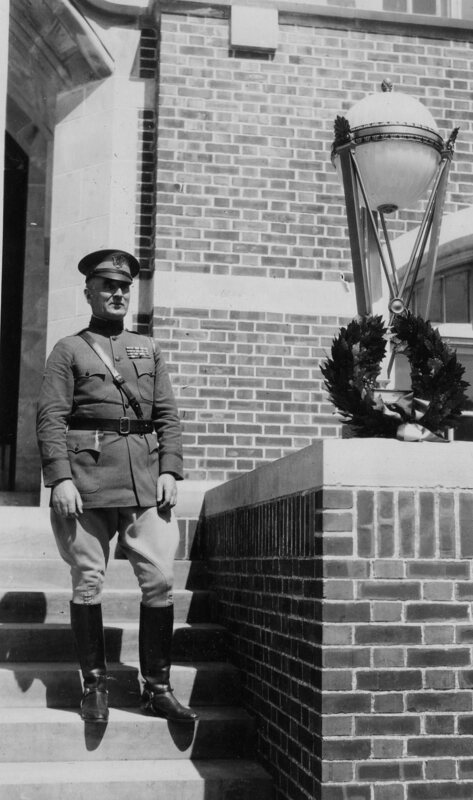 The speech came at an appropriate moment, as the St. Olaf College community had already begun the process of commissioning a war memorial for the college’s servicemen and women. 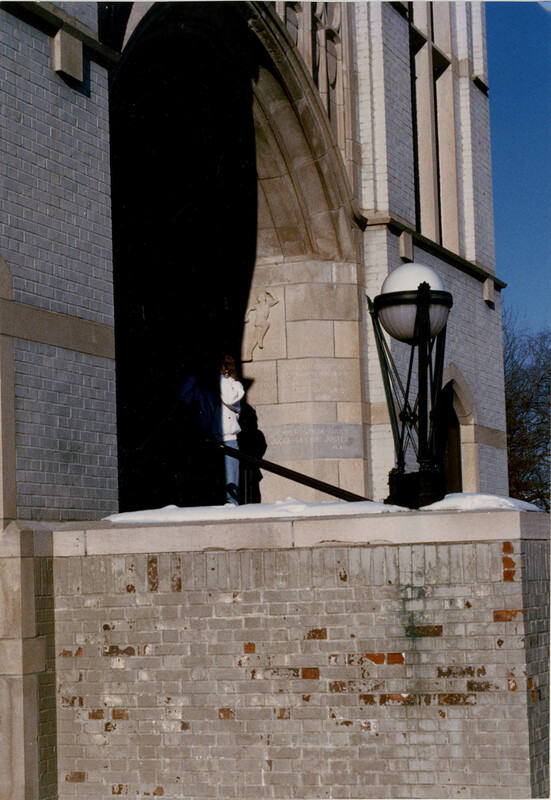 With the war three years gone, St. Olaf announced in December 1921 that two large bronze lamps would be erected at each side of the entrance steps to the gymnasium [currently the Theater Building] “to commemorate the patriotism and service of more than 600 St. Olaf men and women who served the colors.” The soldiers and sailors memorial committee of the St. Olaf Alumni Association set the project into motion, settling on lamps in response to the community’s opinion that the war memorial should be not just ornamental, but also useful. The committee ultimately selected a design submitted by the Tiffany Lamp Co. of New York City, a division of Tiffany and Company Jewelers. John G. Mohn, class of 1899, son of former college president Thorbjørn N. Mohn, was instrumental in securing the one-of-a-kind lamps from such a prominent company. The spherical electric lamps stand about 4 feet tall and rest atop identical bronze vases. The committee requested that all students, faculty, and alumni association members donate one dollar each to fund the memorial. 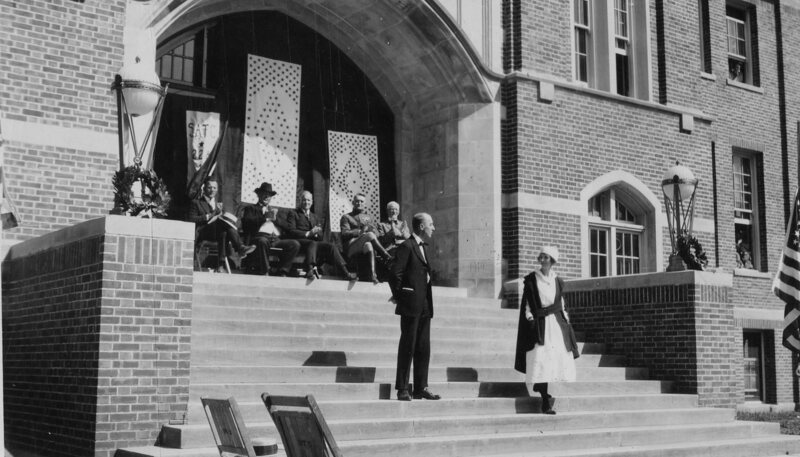 Tiffany’s completed the design in time for the 1922 commencement ceremony, held June 12. At 9 a.m., John Mohn presented the lamps to President Lars W Boe. 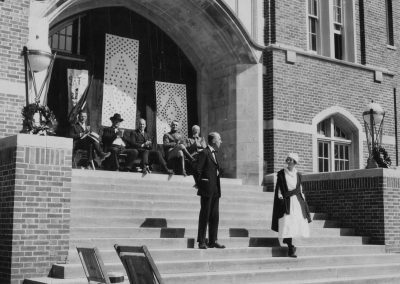 Against a backdrop of the college’s service flags, General Alfred W. Bjornstad, St. Olaf Academy, class of 1890, presided over the dedication of the memorial. Dedication of the World War I memorial service lamps, June 12, 1922. 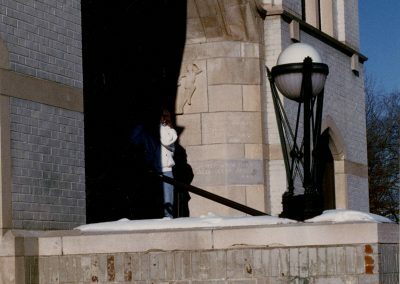 Source St. Olaf College Archives. 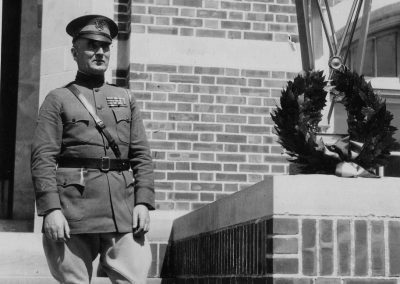 Dedication ceremony of the World War I memorial service lamps, June 12, 1922. Source St. Olaf College Archives. 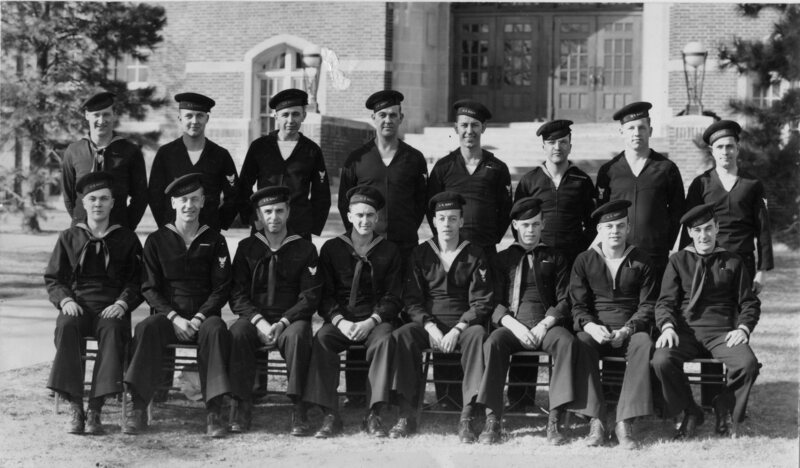 World War II naval unit poses in front of the memorial service lamps, ca. 1943. Source St. Olaf College Archives. Dedication of the World War I Memorial Service Lamps, June 12, 1922. 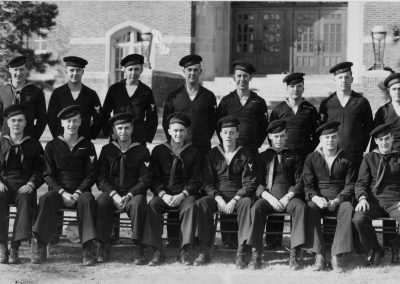 Description Seated, far right, Civil War veteran Oley Nelson (former president of the St. Olaf College Board of Trustees). Notice the three service flags (stars representing college students who served or died in service). 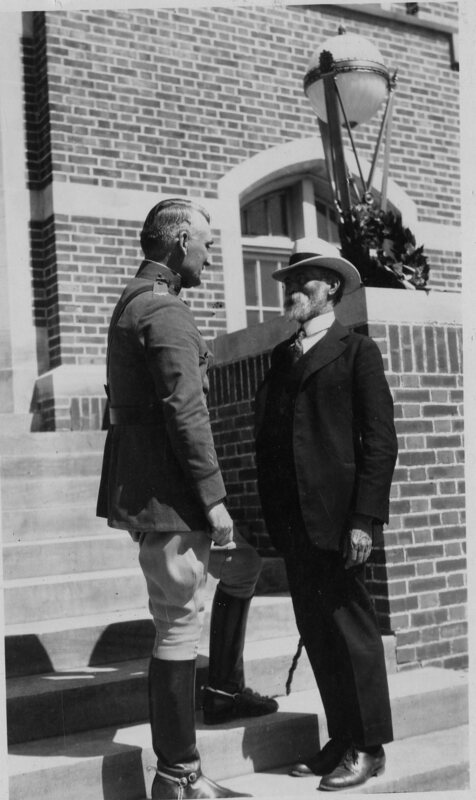 General Alfred W. Bjornstad is seated next to Nelson. Source St. Olaf College Archives. Dedication of the World War I Memorial Service Lamps, June 12, 1922. The venerable service lamps have been present for nearly 100 years. Source St. Olaf College Archives.